PaxWorks is delighted to announce the completion of our second Collaborative Teacher Training in Belize. 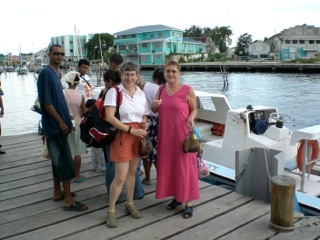 Carol Babb, the competent and cordial Director of the Belize Anglican School System, Ursula Daniels, Executive Director and Founder of PaxWorks, and Jenny Bardwell, Community Curriculum Coordinator for West Virginia University’s HSTA program, decided to collaborate. All wanted to bring high quality science education to their constituent teachers, and create a pedagogical dialogue that would enhance enjoyment in the learning process.